A self-teaching course designed for beginners and professionals to learn and improve touch typing skills. This book will provide you with tips and tricks to learn or improve the touch-typing skill without using typing software. For quick reference, handcharts are included. The practice lessons cover all the keys i.e. alphabets keys, numbers keys, and punctuation keys. It is the best book to quit hunting and pecking habits. 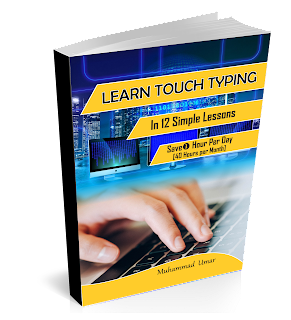 This book will provide you with more tips and tricks to learn or improve the touch-typing skill without using typing software.